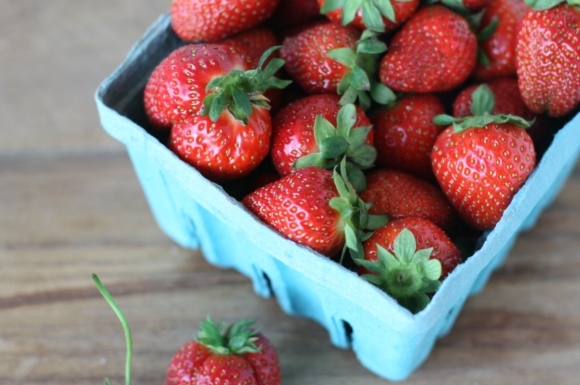 One of my co-workers informed me that due to our early hot weather and complete lack of winter, strawberry season will be coming 2 weeks early this year! She was super pumped about this early crop, and my mind immediately went to parties and entertaining. 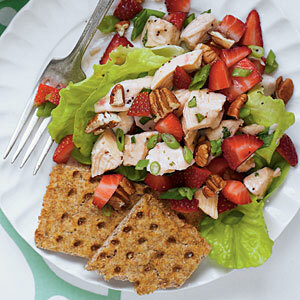 To celebrate Spring, I think it would be fun to throw a Strawberry Party, with all things strawberry! 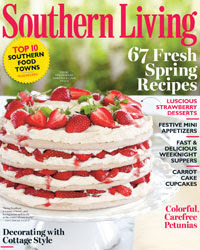 Coincidentally, my April Southern living is chock full of delicious strawberry recipes. Let's take a look at this sweet round-up! 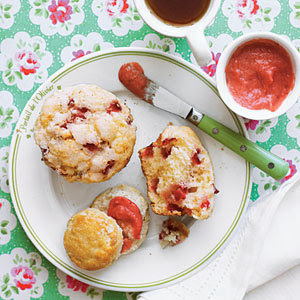 These strawberry-lemonade muffins look absolutely amazing and would be perfect for a brunch! This chicken salad with strawberries looks amazing. 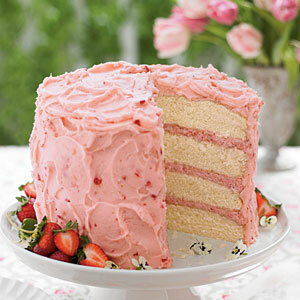 For dessert, how about a layered strawberry mousse cake? 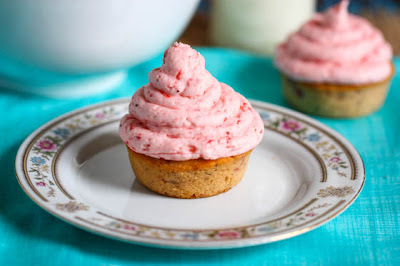 Or these strawberry cupcakes with Strawberry Buttercream frosting from Eat, Live, Run. WOW. Strawberries are one of my favorite fruits...I can't wait for them to be in season!